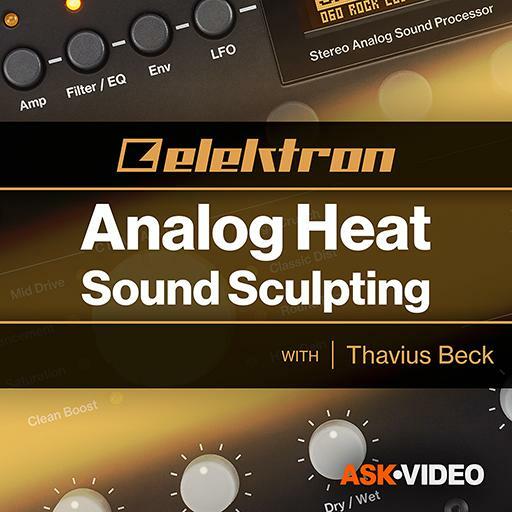 Elektron 104 - Analog Heat Sound Sculpting. True or False: The Enhancement circuit adds more bass by default. True or False: The output of Heat must be recorded in real time. True or False: Classic Distortion is only for processing guitars. True or False: Analog Heat is Overbridge enabled. True or False: Heat's signal path is completely analog. True or False: The LFO can be synced to the DAWs tempo. True or False: The Analog Heat VST has to be configured in Ableton Live before it can be automated. True or False: The Dirt parameter adds harmonic distortion. True or False: The Envelope Follower can retrigger the LFO. True or False: The EQ curves change for certain distortion circuits. True or False: Mid-Side processing can be controlled from the Analog Heat hardware. True or False: Mid-Drive applies a band pass filter to the incoming audio. True or False: Round Fuzz adds slow panning to the processed audio. True or False: The Dry/Wet knob can be used for parallel processing. True or False: High Gain adds noise even when no audio is present. True or False: The Clean Boost circuit applies distortion as soon as it is selected. True or False: Heat can use a foot pedal to modulate parameters. True or False: There is one type of low pass and high pass filter. True or False: A sweeping notch filter can act as a mild phasing effect.